Do you remember that post where I talked about coconut oil, baking soda, and how I Broke Up with my Facial Cleanser? This is the next post in the beauty series of how I broke up with my shampoo and conditioner. It all began back at Christmas when we made a costly move within England from Brighton to Bath. Since then I had been trying to stretch out my shampoos to save on product. It got to be May and I had read a post on my friend Amanda’s blog where she stated I STILL don’t use shampoo. Back then she had been no poo (shampoo free) for three months. I had heard about this before from my sister and had half attempted it myself. However, I had not researched how to do it well and had only been using the baking soda. This time I armed myself with the knowledge on Amanda’s blog and after a twitter conversation with her went to the store to get what I needed. Being in England I ran into some problems as baking soda comes in either small individual packets for baking or a small container. So if you are attempting this I recommend buying in bulk! I am now four months in and I am not looking to switch back to shampoo. The transition period is frustrating. I heard that it would be and I will not lie and say that it is a breeze. The trick is to keep your hair back and just stick with it. I ended up going with a french braid and keeping my hair in a plait, instead of wearing it down. It also benefited that I work mostly from home. If I was working in the salon still, I am not sure how it would have gone down with my coworkers to be honest. Just remember that it is a transition and will not last forever. One size does not fit all. In this case what may work for one person may not work for you. This could also apply to your journey with no poo and you may find you have to switch it up a bit. The tricky part of breaking up with your shampoo and conditioner is to find the right mixture and ingredients for you. I initially started with using the paste method of baking soda because it was what I tried before. However it was making my scalp very itchy, no matter how well I tried rinsing my my scalp. 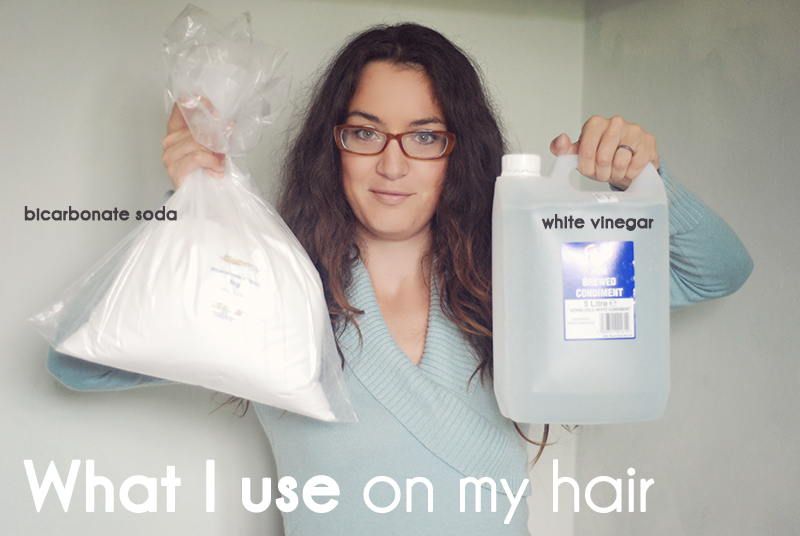 I switched it to the baking soda wash method and went from Apple Cider Vinegar (ACV) to White Vinegar (WV). I needed a new brush. As a hairstylist I have a gazillion brushes but oddly enough did not own an all natural Boar Bristle Brush (BBB). Since my goal is to grow my hair out long I have been trying to not touch my hair if possible. That means if I needed to brush my hair I used a wide tooth comb and if I needed to use a comb I tried to just use my fingers. However I realised from trouble shooting online that I needed to use my BBB. Ever heard of how women used to brush their hair a hundred times every day? I use to discredit that and say how horrible that was for your hair as a stylist. Upon research I now actually think it is a good thing. One you need the right kind of a brush. The natural bristles of a BBB will help distribute the natural oils from your scalp down the hair shaft to make it soft and shiny. I lose a lot of hair every day. This is something I know for a fact. I knew this back when I gave birth to my first son eight years ago. Along with the knowledge that after you give birth you shed even more hair. I kid you not, I was still bawling my eyes out in the shower as I saw how much hair I was ‘losing’. So with not brushing my hair very much I started to freak myself out with seeing all the hair in the brush when I did use it. However all those hairs that were going to come out anyways have just added up. I am not going bald, nor is my hair thinning. I am just overreacting to the number of hairs we can lose every day. If you are wondering that could be up to 130 hairs a day! Wash your hair once a week and do not be sad if you see around 700 hairs coming out in your hands. I need to change things up. At my 3 month mark I noticed my hair was almost reverting back to what it was like during my transition stage. Except I felt that it was almost worse because I was already three months in. My hair was not just oily near the scalp, but really sticky. It also seemed like my BS wash and vinegar rinse were not helping. After doing some research I tried an egg and honey wash. I used two egg yolks, 1 tbsp of honey, 1 tbsp of vinegar, and 1/2 tbsp of baking soda. It made a frothy mixture which I rubbed on my scalp for three minutes. I left it on for another five and then rinsed really well. I sprayed my ends with my diluted white vinegar mixture. I could tell my hair felt better immediately but after my hair dried it was confirmed. So just know that sometimes you may need to change up your routine. There are many different ways to be ‘no poo’. You do not have to rely on just baking soda and vinegar. There are so many other ways to go about it and you just have to find what works for you. I also tried using a mixture of honey and aloe vera fresh from the plant to help when my scalp was itchy from the baking soda paste. There are so many tea rinses out there that I have been meaning to try out sometime too. I spend less time on my hair. When I was using shampoo (which strips your hair of natural oils, which makes your body then overproduce) I would have to wash my hair every few days. If I used product or straightened may hair I would have to wash every day. Now that I can go seven and ten days it has really cut down on how much time I am spending washing my hair. But it gets better than that! My hair now dries so much faster on its own. I do not need to be outside in the sun either. Just being in my house my hair dries on its own in just a few hours. I have not really timed it, but I know normally my hair would still be quite wet and not fully dry as it is now. Which means I do not spend tons of time blow drying hair, flat ironing, or using my curling iron. It can work! Since going about it this time I realised it can work and that has been the best lesson of all. I can go seven to ten days between washing my hair. Between that time I will use water only (WO). Which means yes I still bathe regularly. However I will wear a shower cap to keep my hair out of the way. Especially if I am going 10 days between my ‘no poo’ wash I will use water only every four or five days. The trick for me is using hot water and scrubbing my scalp. HOW I STYLE MY HAIR NATURALLY. Since I have showed you how I wash my hair with out shampoo, I thought it only nice I follow in post with how I style my hair. PRODUCTS. I am a product queen. Plus as a hairstylist I was always coming home with new products and samples. However since I broke up with my shampoo and conditioner I have realised my hair acts much differently. I do not need tons of products. I am not using heat tools so I do not need heat protectants. Honestly my bathroom full of products has been replaced with one: coconut oil. A little bit goes a long way. I put a small amount in my palms, rub them together to emulsify and the us sparingly. It is the best product for my hair! We use this product for so many things in my house we are always running out! Which ignore any frizzies in the photos of this post as we are currently out of coconut oil until our next delivery. Coco powder has been great as a ‘dry shampoo’ and along with the coconut oil makes me smell like a cookie. DRYING. I do not use the hair dryer. I will say I have used it on a couple of occasions, one being the day of my vow renewal. Otherwise I squeeze the excess water out in the shower and blot well with a towel. I then air dry and as stated before my hair now dries very quickly. Which I equate to not having used shampoos and conditioners that are filled with chemicals and silicones. STYLING. Normally I do not do much. The less I mess with my hair the better condition it will be in as I grow it out longer. I will take sections starting from my hair line and twist it to help aid my wavy hair into curling nicely away from my face. I will pin a section back from each side of my face if I am going to be out and I do not want hair in my face. My favourite thing to do now is curl my hair with a headband. I have previously done this with the ‘sock bun’ technique and found using three sock buns helped give me even curls. However with three it was a bit awkward to sleep on. Plus I will leave the house with my hair in the headband, so its a great way to curl your hair during the day, if you want to let your hair down that night. The above photos were taken on the same day. I wore my hair that morning curled up around my headband. We spent the day out kayaking along the river and canal near Bath and it was perfect for keeping the hair out of my face. Normally had I put it in a bun or a pony tail I would have had to fix it or would have kept playing with it. That night I took my hair down to reveal beautiful curls with no heat! How to Curl Your Hair with No Heat! 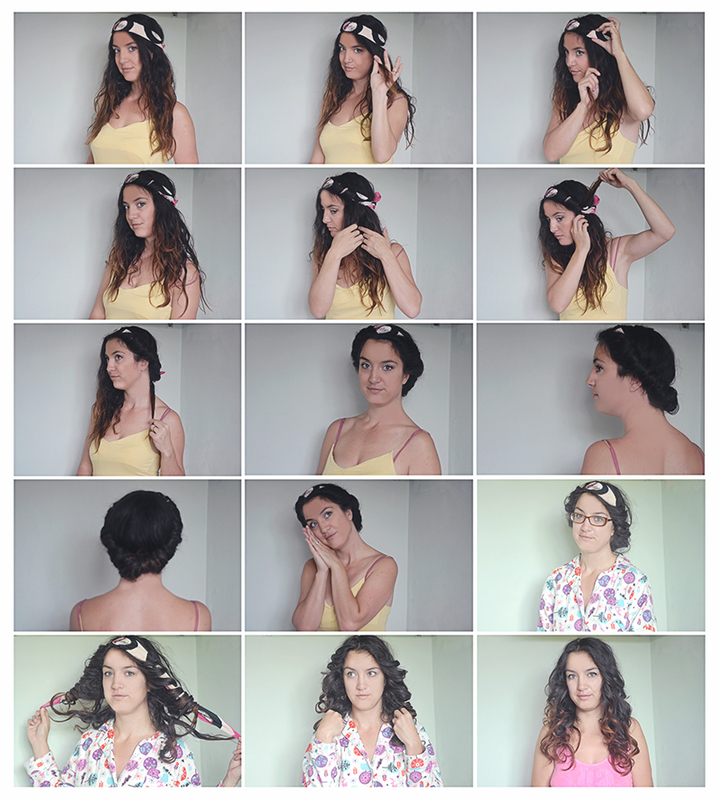 Bonnie Rose’s step by step approach to styling your hair. You will need either a circular stretch headband or you can use a scarf. 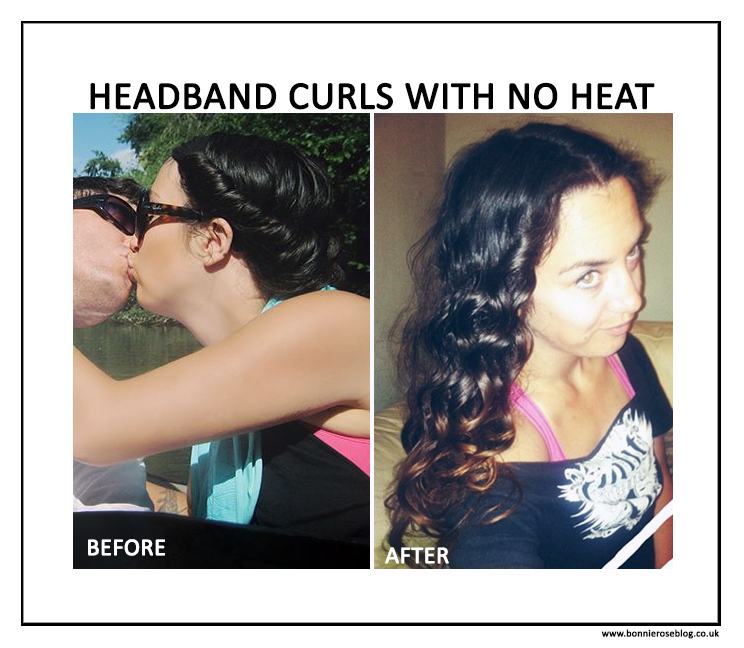 I found the headband creates tighter curls, wear the scarf will give you looser curls. If you are going straight to bed you can wet down your hair slightly with water. Do not do this with very wet hair or your hair will not dry fully. Also your hair can stretch longer when it is wet compared to when it is dry which can cause breakage. 1. Comb out your hair with your fingers or a comb and determine your parting. Now that my hair is long I am keen to use a center part. Put your headband or scarf around your head like a halo and position accordingly. 2. Start with one side and take a section of hair in your hands. You will hold it up rap it around the headband and down. Take the same size section and add it to what you are currently holding and repeat. You will be working your way all the way to the back of your head. The trick is to take the same amount of hair each time. Do not feel you have to match the amount of hair that you have accumulated, otherwise your curls will get bigger and looser the farther back you go. 3. Once you have finished one side continue wrapping your end around the headband until the end is secured. 5. You should now have a Princess Jasmine looking hair do. Enjoy your beauty rest or your day if you happen to do this as a day up style. 6. When you are ready slowly take your hair down. If you used the scarf technique the easiest way is to untie it from the back and then slip the scarf out from your hair. 7. Using your fingers comb through the curls gently. You can re curl sections with the direction they are curled to help refresh the look. 8. Use hairspray if you prefer or just use a little coconut oil to tame any fly-a-ways and add shine. Yes. It can also be very curly if I kept my hair chin length. However, with the length of my hair it has weighted down my curls into waves. No I stopped colouring my hair about fifteen months ago and wanted to grow out my natural hair colour. So while I have always loved different variations of the ombre look, mine was not exactly intentional. I have noticed that the very ends of my hair are prone to not curl as much my virgin hair so I am wary to colour my hair again until covering up grays is a need. My natural hair is being so much nicer now that I am on poo so really working towards keeping the chemicals away. The way my reacted while using shampoos I would not be able to live without my range of hair tools and products either. My hair really does react better without the chemicals. I will still use my hair dryer or other heat tools sparingly for special occasions but it works against my main objective. Long hair. Anything you are do to your hair is going to damage it, including twirling it around your finger. I just try to work at doing what I can to promote healthy hair growth. I use to swear by my monthly coconut oil masks. They really promoted shine and helped my ends. I did it once with my new routine and found it was very difficult to get all the coconut oil out of my hair. There are many natural ingredients that are great for hair masks like raw honey, raw aloe, non-fat plain and organic yoghurt, avocado, and egg yolks. I have not tried every combination yet but so far have tried two which both have included raw honey. My first thought was ‘honey, will that not make my hair and scalp sticky?’ but it really works! Raw honey works as a humectant and is amazing on your hair for moisture, shine, and softness. I used the aloe straight from the aloe leaf and mixed with honey. Make sure you are using all natural organic ingredients. The benefits of egg yolks are that they reduce breakage and support strengthening your hair. I used the following as a ‘moisturizing wash’ to help my hair at the 3+ month mark. I would definitely use it again as a mask. Two egg yolks, 1 Tbsp of honey, 1 Tbsp of vinegar, and 1/2 Tbsp of baking soda. It will make a frothy mixture. 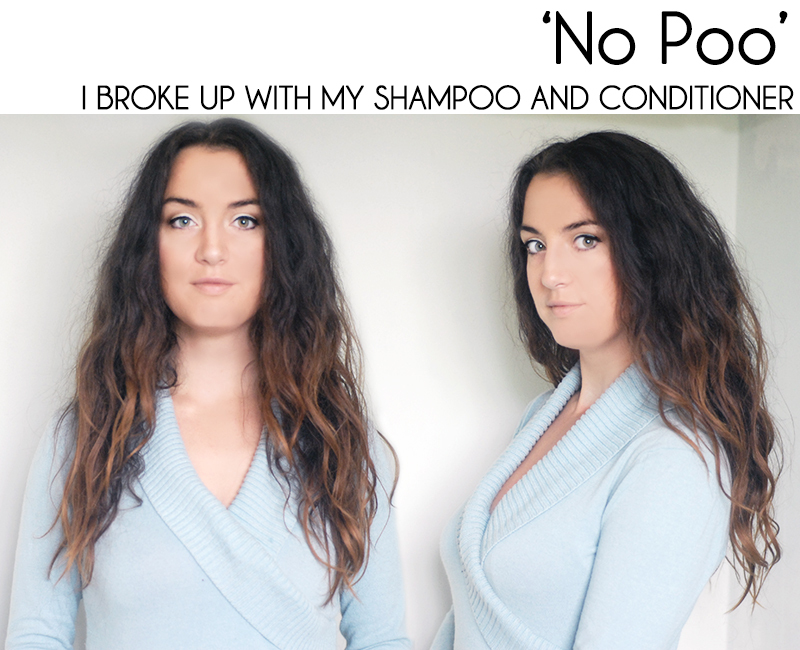 That is my story about ‘No Poo': I Broke up with my Shampoo & Conditioner.